The 2018 Class of the Pro Football Hall of Fame will be announced during Super Bowl weekend in Minneapolis and Ian Beckles brings in Hall of Fame voter Ira Kaufman of JoeBucsFan.com to explain how the process goes down. Ira has been a Hall of Fame voter for multiple years and he tells you about how the voting goes down when the group of voters get together on Super Bowl eve. And if you are a Tampa Bay Buccaneers fan, he tells you if he believes this will finally be the year that John Lynch gets into the Hall of Fame. Along with talking about the upcoming Pro Football Hall of Fame Vote, Ian and Ira discuss what happened this season with the Tampa Bay Buccaneers. 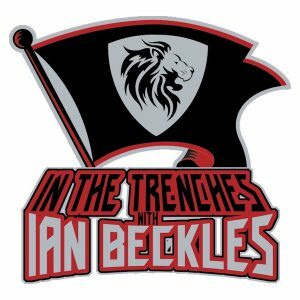 They get into what the Bucs need to accomplish this offseason to take the next step, Ira shares a story about a conversation he had with defensive coordinator Mike Smith following the regular season finale, and they get into a debate on defensive tackle Gerald McCoy.